We kicked off the day in full holiday spirit. Can you tell? 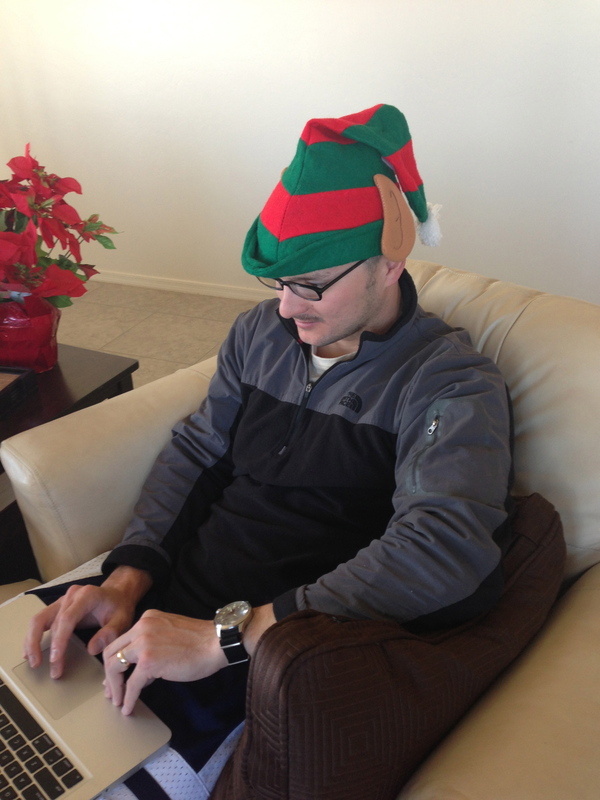 That’s my elfin husband doing some online birthday shopping. For some reason, he reminded us of Hermey, the misfit elf that wanted to be a dentist, from Rudolf. 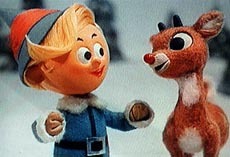 Not sure why since Daniel doesn’t have blonde hair and Hermey doesn’t have glasses. Must be that they both have the misfit thing going on. 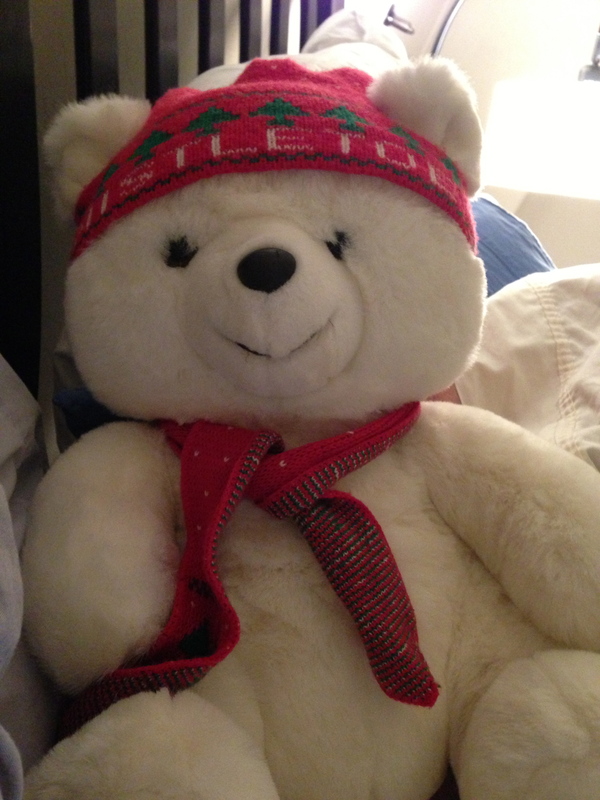 And this is my adorable Christmas bear. Doesn’t he just make you want to snuggle up and pretend you’re five years old again? We are packing up and moving out in less than a week, so that means Daniel and I need to get our fill of elf hats, bears, snowman coasters, festive blankets, and poinsettias early this year. We will be living in an hotel on Oahu over Christmas while we look for a place to live; our household goods (including Christmas decor) are not expected to arrive in Hawaii until late January. Sounds depressing, however I’m sure a sandy beach and a few breathtaking sunsets will help ease the blow. Preheat oven to 450. Reduce heat to 400 and bake for 10 minutes. I also added some of the onion that had cooked in the bottom of my roasting pan with the turkey. Most people probably throw these out, but holy moly they are so rich in flavor! Truth be told, I just eyeballed all this stuff. The proportions are estimates made after the fact. But hey, that’s the nice thing about cooking – you get to decide when it’s just right! This had great flavor to me, but it might be too tangy for some and not tangy enough for someone else. Tip: TASTE it as you make it. 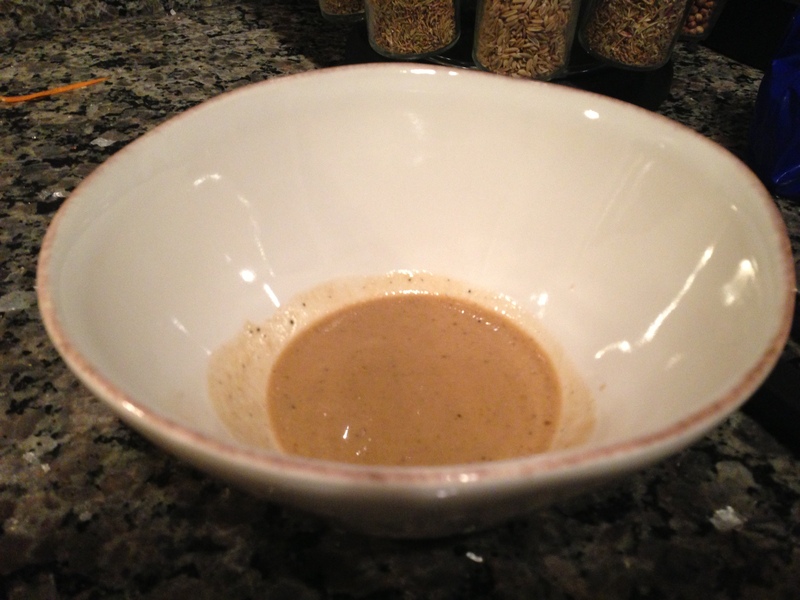 In any case, in a small bowl, whisk together all ingredients. You reduce the amount of olive oil and increase the lemon juice to cut back on the fat. 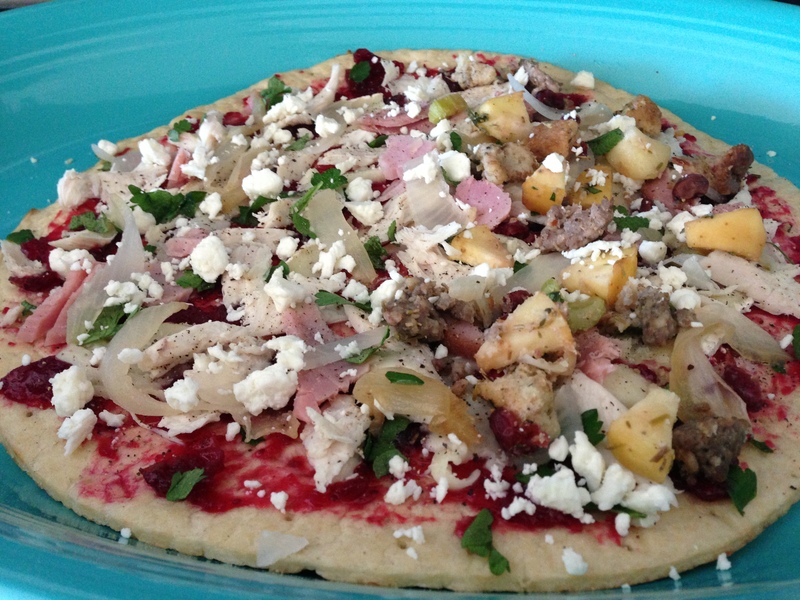 Play around and have some fun experimenting with different items in your pantry and fridge. Plain yogurt can be a great dressing additive or substitute for dijon if you’re not a mustard fan. 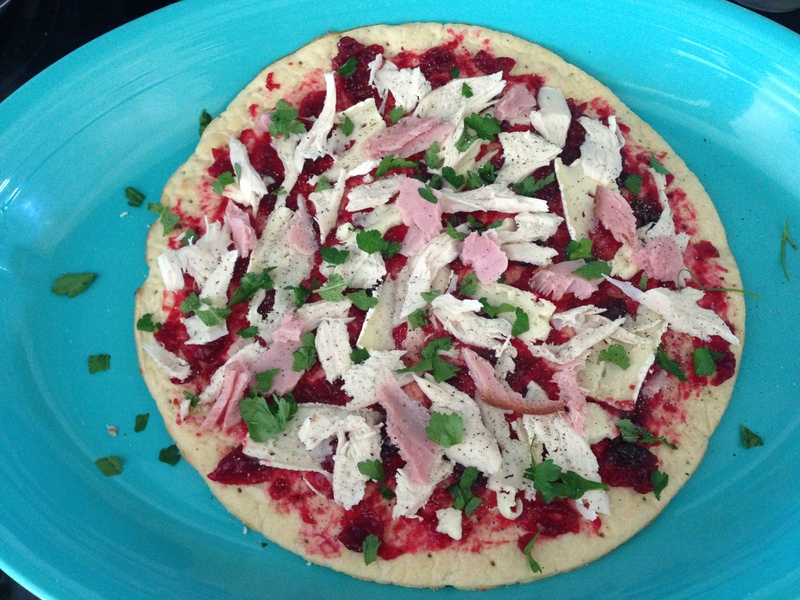 Serve over fresh greens, shredded turkey, ham, or both!, chopped celery, dried cranberries, and roasted walnuts. 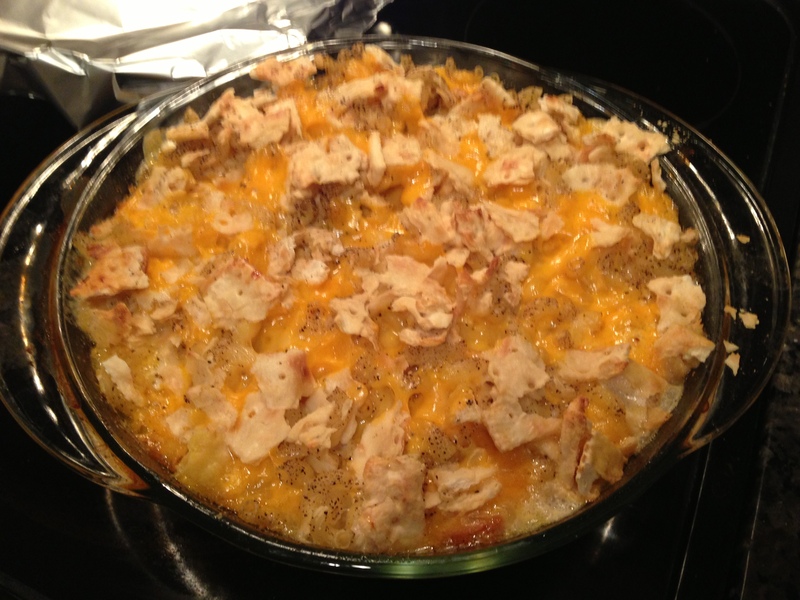 Since had been good about eating our leftovers for lunch, and it was Daniel birthday, I caved and made him his favorite meal for dinner – BBQ chicken and macaroni & cheese. Don’t worry, not everything was new. 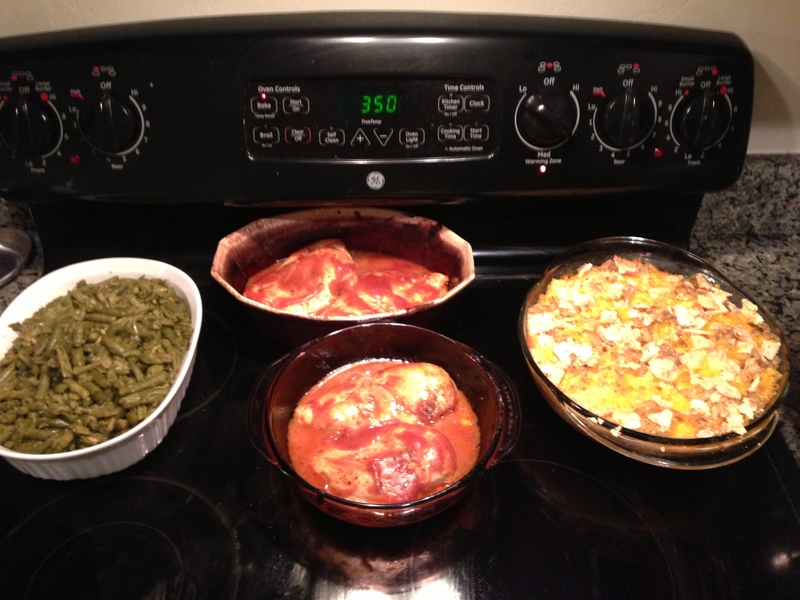 We supplemented with leftover green beans. Preheat oven to 350 degrees. Layer a 9×13 baking dish (or two smaller dishes) with 1/4 to 1/2 cup BBQ sauce. Season both sides of chicken with salt and pepper. In large saute pan, heat oil over medium heat. Make sure you oil pan is good and hot, then brown both sides of chicken (about 1-2 minutes per side). Remove from pan and transfer to baking dish. Top with remaining 1/2 cup of BBQ sauce. Bake for 25-28 minutes until center is completely white and juices run clear. I’d tell you, but then my Grandma would have to kill you.